Clearance Of All Stock, Save Up To 50% Off The Regular Price! 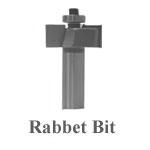 The list below is all that remains of our router bit selection, all sales are final, no returns. 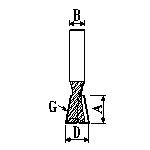 A - Carbide Height 1/2"
B - Shank Diameter 1/4"
D - Large Diameter 1/2"
Final Sale - While Quantities Last. 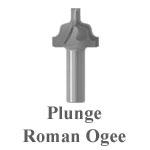 Plunge Roman Ogee 1 1/4" Dia.